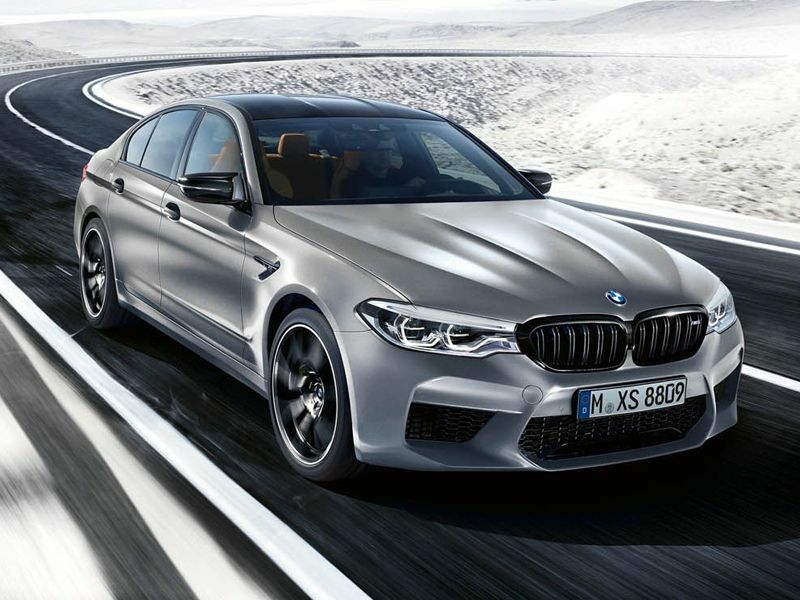 Since its debut over 30 years ago, the BMW M5 has set the standard for the high-performance executive sedan. The newest member of the M5 family is the striking BMW M5 Competition which takes performance and exhilaration to the next level. 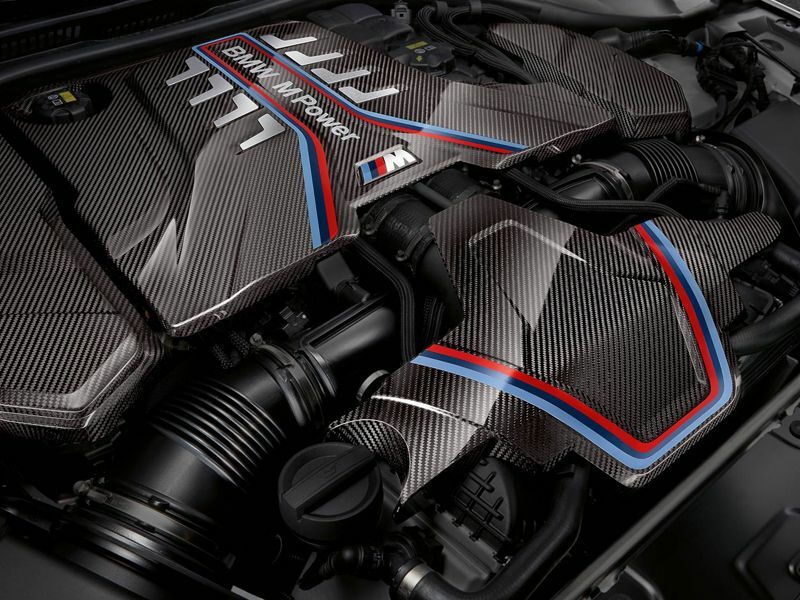 Powered by a 4.4-liter BMW M TwinPower Turbo V8 with 617 horsepower and 553 lb ft of torque, the M5 Competition can rocket from 0 to 60 in a blistering 3.1 seconds. At first glance, the M5 Competition offers an instantly recognizable exterior appearance which hints at the pulse-pounding thrills which lie beneath the hood. Functional aerodynamics keep the M5 Competition planted firmly to the road surface at high speeds. 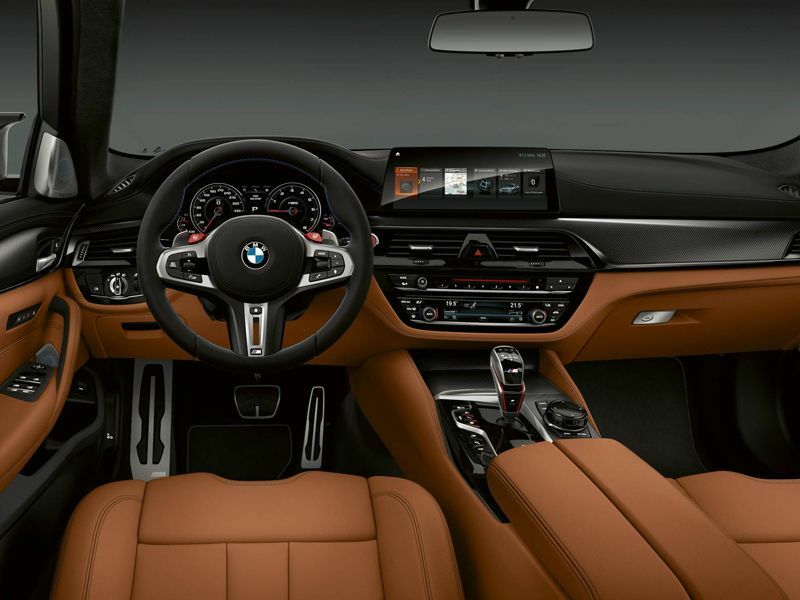 Inside the M5 Competition, each aspect of the interior is carefully centered around the driver for maximized ergonomics and support while cornering. True to its sporting heritage, the BMW M5 Competition comes standard with a muscular 4.4-liter BMW M TwinPower Turbo V8 with 617 horsepower and 553 lb ft of torque. Packing more of a punch than the standard M5, the M5 Competition can accelerate from 0 to 60 MPH in just 3.1 seconds on its way to a top speed of an astounding 190 MPH** (when equipped with performance tires and increased top-speed limiter). Steering wheel mounted paddle shifters give drivers complete control of its standard 8-speed M steptronic automatic transmission with Drivelogic. A quick jab of the throttle rewards you with a deep, pronounced burble from the M Sport exhaust system with M sound control button. Keeping the M5 Competition firmly planted in the corners is an Adaptive M Suspension with electronically controlled dampers. Standard M xDrive all-wheel-drive system with 2-wheel drive capability and Active M Differential ensure the immense power translates seamlessly to the road surface. Seductive exterior styling provides the perfect complement to the immense power of the M5 Competition. Far from just a pretty face, a weight-optimized exhaust system with quad tailpipes, a subtle M rear spoiler, and an M rear apron with diffuser offer aerodynamic functionality for improved handling. Unique to the M5 Competition are black design elements, including the kidney grille, mirror caps, side gills, and tailpipes. Icon Adaptive Full LED Headlights with automatic high beams provide crisp illumination and superior visibility. You'll have your choice of a selection of non-metallic or Metallic paints to help reflect your personal style. 20-inch Y Spoke Bicolor forged light alloy wheels give this executive sports sedan a confident stance. Every aspect of the interior of the BMW M5 Competition is centered around the driving experience. 20-way power M multi-function driver's and front passenger's seats offer adjustability for shoulder and thigh support to keep you securely positioned at high speeds. Audio system, cruise control, and Bluetooth® wireless communication controls are perfectly placed on the 3-spoke leather-wrapped M sport steering wheel. An M-specific Head-up Display lets you monitor critical performance data without taking your eyes off the road. A BMW Navigation system with 10.2-inch high-resolution touchscreen, M-specific 12.3-inch Dynamic Digital Instrument Cluster, iDrive 6.0 system with touchscreen and Gesture Control help illustrate the cutting-edge technology found inside the BMW M5 Competition. *MSRP excludes destination & handling fee of $995, tax, title, license, and registration. 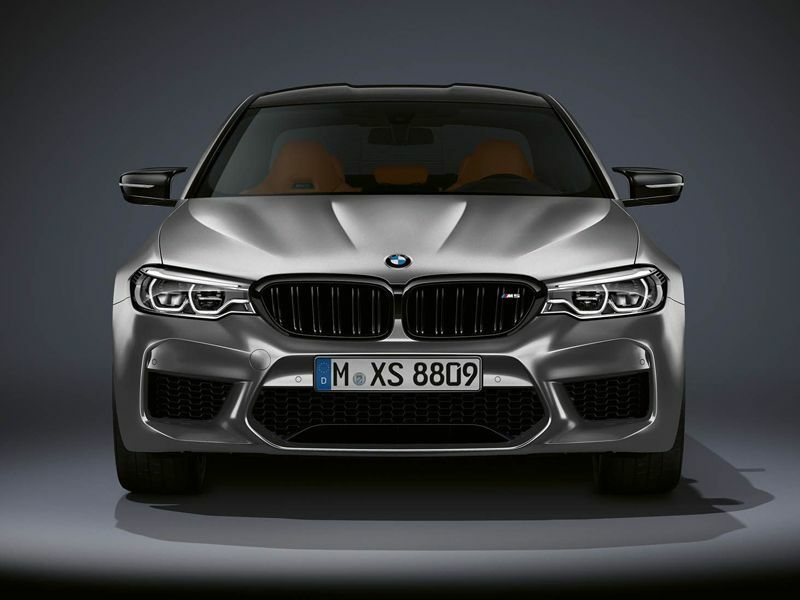 2019 M5 Competition shown. **Top speed limited electronically. Figures in [ ] apply to vehicles with performance tires and increased top-speed limiter.